A new documentary on food waste reveals how dire the issue is around the world. In the United States, 40% of the food we produce is going to waste. From table scraps to grocery store excess to industrial farm waste, the food system in the US is throwing away tons of food each year, food that ends up in landfills and produces toxic greenhouse gases rather than feeding the hungry. And around the world, about one-third of the food produced for human consumption — 1.3 million tons — is wasted, according to the United Nations. Global Citizen campaigns on the United Nations Global Goals, including ending hunger and creating sustainable societies. You can take action on the goals here. The inefficiencies in the food system are a crisis for those working to fight climate change, end hunger, and save the earth, but they’re also a source of frustration, creativity, and hope for people who work in the food industry everyday, people like Chefs Anthony Bourdain, Mario Batali, Dan Barber, and Massimo Sola. The top chefs all appear in the new documentary “Wasted” — executive produced by Bourdain — that shows audiences how easily the problem of “food waste” can be solved by changes in consumer and industrial behavior. For the chefs, it’s a matter close to their hearts. 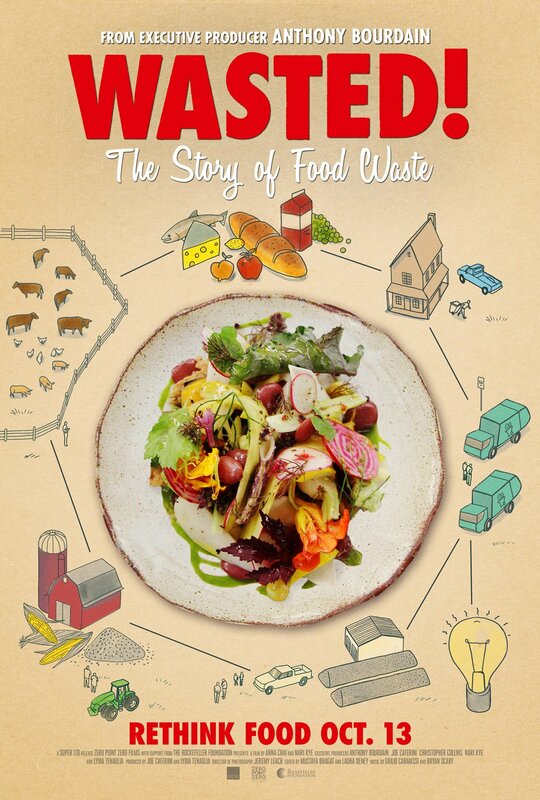 “Wasted” takes viewers to pig farms in Japan, school gardens in Louisiana, and the Michelin-starred restaurant Blue Hill at Stone Barns on a farm in New York to illustrate how a few changes in consumer behavior and industrial farming practices could help end food waste and feed the world. Barber is the chef and co-owner of Blue Hill at Stone Barns and chef at Blue Hill in New York City. He has made food waste a central part of his educational efforts at Stone Barns, finding ways to utilize parts of vegetables and animals that are typically thrown away by farmers and diners. Chef Barber spoke with Global Citizen about what he thinks all global citizens can do to help end food waste and create a more sustainable future. How did you become so passionate about food waste? Well, the first part is that I think all chefs are pretty passionate about, if not ethical or environmental concerns, an economic incentive to not waste food, which is what we’re taught from the moment we begin cooking. You don’t throw stuff away. We just never get credit for that, because we don’t sell things as waste, we sell them as glorious deliciousness. I have a dish on the menu tonight that is a meat [and vegetable] ravioli, I’ll probably call it fall ravioli, but it’s leftover braised lamb from last night with vegetables. That’s all waste, I’m just calling it ‘fall ravioli.’ We do it every day, we just never wear it on our sleeve. And secondly, in doing research for my book, “Third Plate,” I ended up looking at all these old cuisines that evolved out of not wasting anything because there was so little fertility, and peasants were scrapping around for what was delicious and nutritious, and that created this thing we call cuisine that is what our cultures are about. The everyday foods are all about utilizing what on the face of it seems uncoveted, whether it’s off cut of meat or bruised vegetables. What was your goal when opening Blue Hill at Stone Barns? The goal was to connect with the farm just outside our window and push the idea of farm-to-table to a new level, in the sense that we’re a table in middle of farm. As it relates to waste, when you’re closer to the source of where everything is grown, you end up seeing how much more can be utilized. Right now I’m about to deal with a crop of green tomatoes that are left on the vine from the summer tomatoes. Another way to look at a green tomato is that it’s a waste food. We’ll be out getting cauliflower leaves, we picked the heads, but we have a bunch of leaves that are ready for the picking. Those two are examples of ingredients that you wouldn’t think are the choice for a guy who has a farm outside his kitchen. When we’re not eating out at restaurants, what we should we be doing at home? I’d look at how much meat is on your plate at home. If you’re eating meat, you’re eating animals that were raised for the most part on grain, and that’s a really inefficient use of grain. We’re not eating the grain directly, we’re eating it through animals, which is inefficient. I wouldn’t go vegetarian but I would reconsider the architecture of a plate of food at home and cut down on protein-centric food at home. 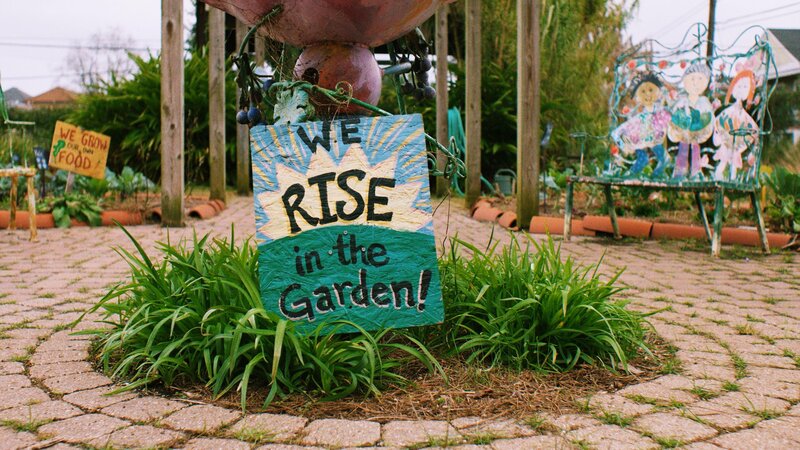 How can individuals reading this article think about beginning to change the bigger food system? Should that system be changed? I’m more of an advocate for cultural change. I think the political levers and social levers are important, but it’s the culture that needs to cover this stuff. We need to develop a culture that looks at lunch and dinner seven days a week as an opportunity to use proteins to buttress grains and vegetables, instead of centering proteins that force the caring capacity of our earth and ecosystems and soil to a breaking point. That’s where waste comes in and we can make a big change through better cooking and better flavors. We’re not talking about giving up anything but being a hedonist for those kinds of things. The film also pointed out how food waste is related to hunger, and Global Citizen campaigns to end global hunger. How can we actually make that happen? One thing that’s a hard-headed answer to that is that we produce enough calories to feed plenty of people, to feed two populations. I’m less sold on the conviction that that is a result of not producing enough food, which is what the food industry says. A lot of waste advocates say we can feed the world with the food we waste, but it’s really an undemocratic distribution system. There are lot of reasons for that — political and global economic — and they all point to the idea that it’s the distribution system, not the production system. So it’s not just cutting down on food waste. We do produce quite a few calories. We’re driving up the price of food but eating so much meat, our diet in western conception of what food.